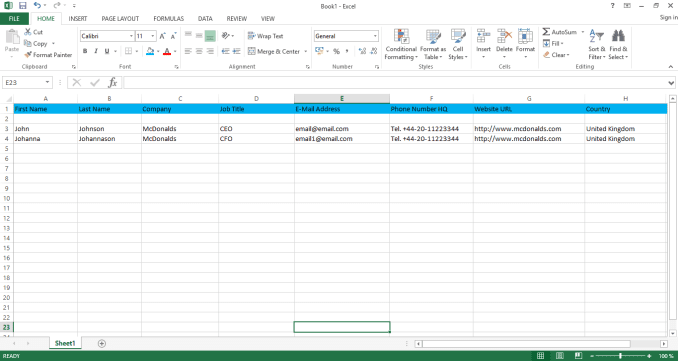 Are you searching contact like CEO, CIO, CTO, CFO, COO, CMO, President, VP, Owner etc then I can assist you. I will use LinkedIn ,Data.com, company website, directory for getting email addresses. After that I will verify every email address via rapportive, email tester or verify email address and email bounce checking. You will get information E_mails with following information. Please contact me before you place any order to discuss all details with me about your requirements, so that we can mutually agree on the cost of the project and delivery schedule!